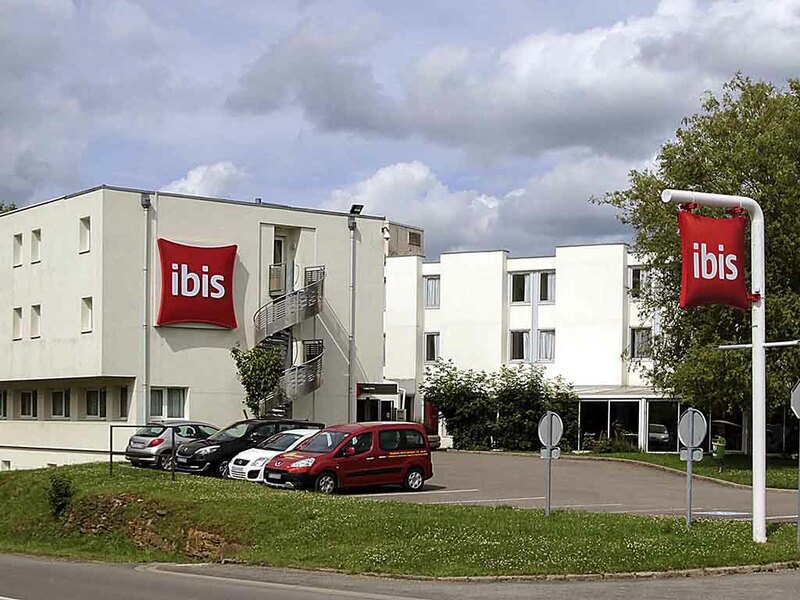 The ibis Longwy is located 1.24 miles (2 km) from the enameled city listed by UNESCO for its fortifications constructed by Vauban.Situated at the gateway between Luxembourg and Belgium, the hotel has 62 air-conditioned rooms with free WIFI, a restaurant with veranda, bar and a free car park. In a quiet and green setting, just 5 minutes from Luxembourg, why not take advantage of the hotel's proximity to Rockhall (20 minutes) or visit the battlefields of Verdun (1 hour)? Located just a few minutes from both Belgium and Luxembourg, in green surroundings. Close to the city of Longwy, famed for its enameled ceramics, and Vauban fortifications. Karting nearby.